The Henry Smith Charity has been helping combat disadvantage and poverty since 1628. Nearly four centuries after we were first established, The Henry Smith Charity is one of the largest grant making charities in Britain; making grants of over £30 million in 2017. Henry Smith was born in Wandsworth in 1549. He lived through Elizabethan and Jacobean times, dying in 1628, early in the reign of Charles I. Henry appears to have had Puritan leanings, but is known to have had associations which spanned the parliamentarian and royalist divide. At the other end of the spectrum, some of his in-law’s family were not too far removed from the Catholics involved in the Gun Powder Plot of 1605. The ongoing success of Henry’s charity is largely thanks to his foresight and understanding of the value of land. The land owned by the Charity has been the foundation of its income since its formation. Henry made his fortune lending money to many landed families of his time. By the 1620s he was the owner of thousands of acres and the mortgagee of thousands more. It was, however, after his death that his trustees were to make the most important acquisition; the purchase for £2,000 in the 1640s of a marshy estate of mainly market gardens just outside London, in the parish of Kensington. Henry was an astute businessman and left a detailed Will as to how his estate was to be administered. Indeed Henry spent much of his energy in his final years refining the details of his legacy. As a result, his philanthropic wishes have been maintained through the centuries with a remarkable degree of consistency and continuity. In his Will, Henry, who had no children himself, left money for the welfare of descendants of his sister, Joan. Referred to in Henry’s Will as his ‘poor kindred’ the Charity still honours this benefaction. Amongst the Charity’s range of grant making, Henry’s legacy to ‘poor clergy’ also continues, with grants administered by dioceses of the Church of England on behalf of the Charity, and a separate fund makes grants to relieve poverty in some 200 specific parishes named by Henry and his early trustees. Henry could not have known that his charity would travel so successfully into the twenty-first century, but its survival and success would no doubt have given him the greatest satisfaction. 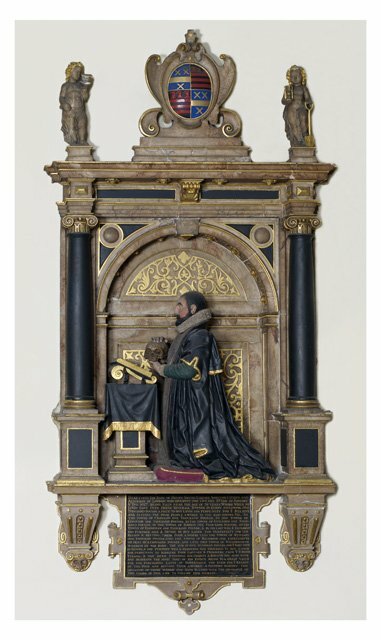 A monument to Henry Smith can be found in All Saints church in Wandsworth, south London. An illustrated biography of Henry Smith was published in 2015. Very little had previously been known about Henry Smith or the life he led. 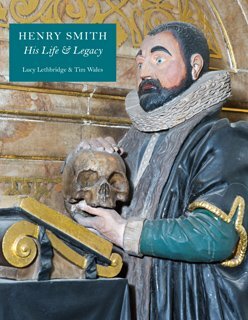 Lucy Lethbridge and Tim Wales researched far and wide to uncover details about Henry’s life and the history of his Charity over the past four hundred years. Henry’s business affairs brought him into contact with some of the best known figures of the sixteenth and early seventeenth centuries, and his life was lived against the backdrop of the City of London as it expanded into a European financial centre.